This deck of cards is the perfect gift for the House of Cards fan in your life –great for bridge, poker, and Kings, as well as any other card game! 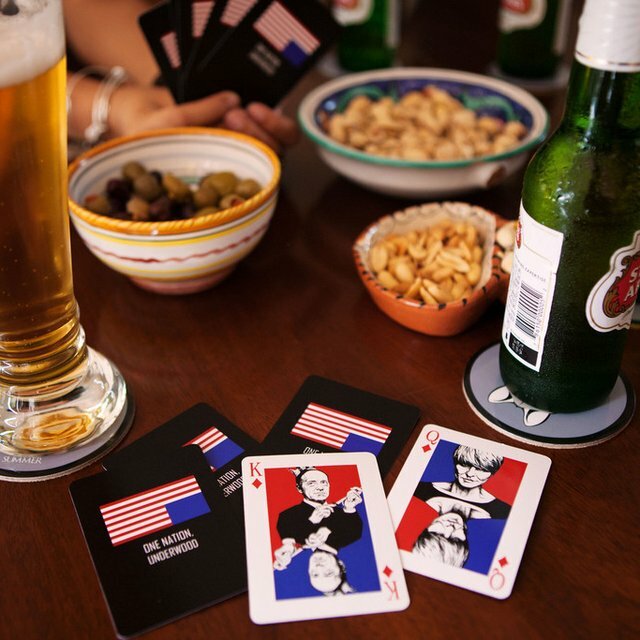 Designed by the well-known illustrator Jaime Margary, this deck of cards features its three face cards with images of Frank Underwood (king), Claire Underwood (queen) and Doug Stamper (jack). The reverse side has the upside down American flag without stars along with the inscription “One Nation Underwood”. No one knows how to play and win games better than Frank, channel your inner Underwood and outwit your way to victory with this great deck!